Your cleanser is arguably the most important part of your routine. It is the first thing that touches your skin in the morning and it's tasked with the enormous job of washing away the day's worries in the evening. If your cleanser is too strong it can cause damage to your skin but if it doesn't clean deeply enough, dirt and grime can build up on your skin and cause blemishes. Finding the right balance for your cleanser is absolute key to creating the routine that works for you. We have talked about how important it is to choose a face wash that will clean your face without stripping it of its natural oils and how to choose the right cleanser for your skin—and obviously we always think you should focus on organic and natural ingredient for your facial cleanser. If you checked out our article about the difference between a cream and a gel cleanser, and you know you're looking for a cream cleanser for normal, combination, or dry skin, we have the perfect-pH balanced cleanser solution for you. Organic aloe vera juice. 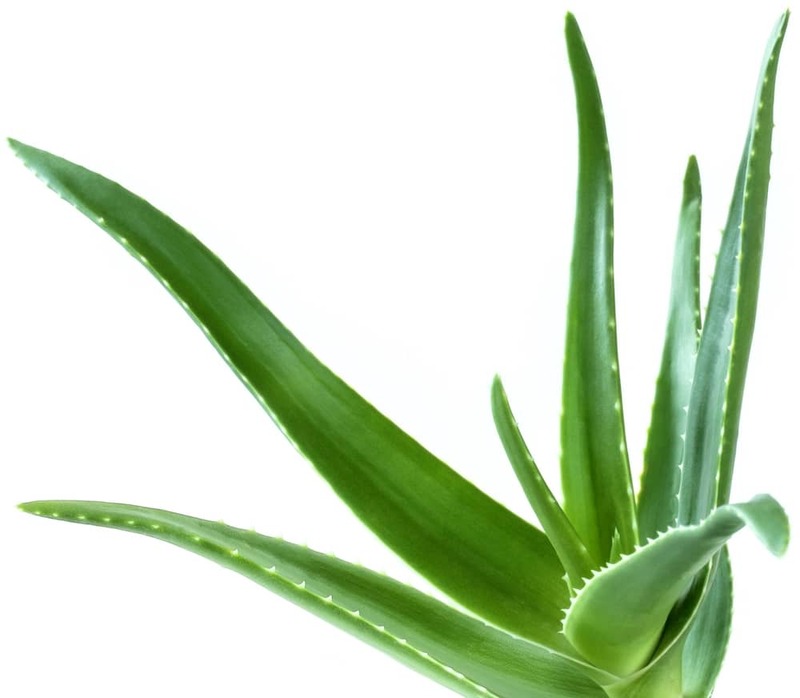 Aloe is not only a natural cleanser, but also protects from environmental stressors. Lavender. It is great for oily skin. Calendula. It minimizes the appearance of large pores. It also helps protect the skin and gently hydrates. Live everlasting flowers. A member of the daisy family, life everlasting flowers help calmand reduce occasional redness and help reduce the appearance of dark spots. Hyssop. 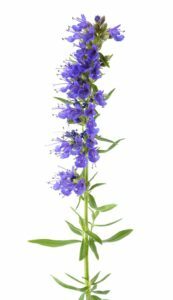 Nature’s natural cleanser, hyssop helps with clogged pores, and helps encourage a more radiant look. Lemon balm. It’s not made from lemon—it’s part of the mint family—but it still is an effective cleanser with a fresh, lemony scent. Read more here. Neem leaf. Cleans, helps exfoliate. Olive leaf. A common skin-care ingredient used by the ancient Greeks, olive leaf moisturizes with essential fatty acids, and protect skin with natural antioxidants. Plantago leaf. Also known as “great plantain,” plantago is a natural remedy for oily skin, and also works great as a toner, minimizing the appearance of large pores and fading the look of under eye circles. It is a natural source of salicylic acid, which helps with oily skin and clogged pores. 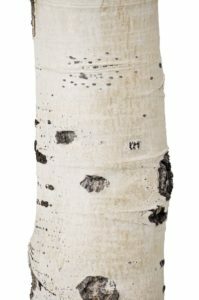 Aspen bark. A natural preservative, aspen bark inhibits the growth of microorganisms in the product without exposing your skin to harsh, potentially harmful chemical preservatives. It also soothes and is great for sensitive skin. Ruby grapefruit oil. The perfect balancing oil, ruby grapefruit helps oily skin while minimizing the appearance of large pores. You also get protective antioxidants. Lemon oil. Lemon is a natural cleanser and is great at eradicating dirt, oily and impurities. Green mandarin oil. It’s tangy, it’s refreshing, and it’s uplifting. The perfect ingredient in cleansing formulas, green mandarin cleanses, stimulates, and helps balance natural oils for that smooth,clean feeling. Rosemary. 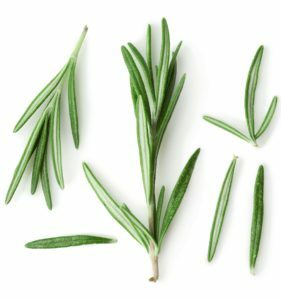 Rosemary naturally absorbs excess oil, yet it won’t dry out skin. It also helps tone and firm the skin, which reduces the appearance of wrinkles. As you can see from our ingredient list, this product is packed with naturally cleansing ingredients that work to not only clean skin, but help hydrate and tone so skin feels smooth and soft over time. Because the Aloe Herb Cleanser is a cream cleanser, it naturally adds a bit of moisture to your skin, instead of stripping you of your natural oils, making this the perfect cleanser for dry, or mature skin. The balancing nature coupled with a deep clean action makes this cleanser perfect for regular daily use on normal or combination skin without causing blemishes. One thing to note, however, if you're working with extra oils in your skin (or you're looking for a post-workout cleanser), the Aloe Herb Cleanser may be too moisturizing and you want something a little more purposeful like the Citrus Mint Cleanser. What really fill us up with love is when customers write in with their experiences. We love helping people feel good, and this product is doing just that. Here are a couple of glowing reviews about the Aloe Herb Cleanser. You can see more of our customer reviews here. Though we don’t often toot our own horns, so to speak, we just had to tell you why you have to try this product. It’s been a best bestseller since we started Annmarie Skin Care, and is truly one of our most ­loved products. We would love to hear about your experience with the Aloe Herb Cleanser. Tell us about it in the comments below! I love the aloe herb cleanser.